Cyprus generally applies the above-mentioned international arm's-length principle, which essentially requires that conditions and circumstances attached to a 'controlled transaction' are consistent with comparable transactions occurred in the open market. The OECD has, over the years, produced several reports and Transfer Pricing Guidelines4 refining their application and broadening their scope. The most recent and comprehensive report comprises the Final Report on BEPS Actions 8–10,5 which largely revises the previous Transfer Pricing Guidelines with the stated aim of taxing profits where economic activities take place and value is created, giving particular weight on the party that is undertaking and managing economically significant risks. The OECD's work (Transfer Pricing Guidelines and reports) in the area underpins the arm's-length principle incorporated in the OECD Model Tax Convention6 and forms the basis of an extensive network of bilateral double tax treaties; therefore, several jurisdictions are already applying this principle and the underlying transfer pricing methodology either to domestic or cross-border transactions. The relevant Cyprus legal framework giving effect to this arm's-length principle is replicated below. And in either case conditions are made or imposed between the two businesses in their commercial or financial relations which differ from those which would be made between independent businesses, then any profits which would, but for those conditions, have accrued to one of the business, but, by reason of those conditions, have not so accrued, may be included in the profits of that business and taxed accordingly. (2) The provisions of sub-section (1) apply also in connection with any transaction between connected persons. The above arm's-length principle as enshrined by the law covers both physical persons and companies (the definition of which is set out below but includes what is described as 'corporations' in other jurisdictions). any body with or without legal personality, or public corporate body, as well as every company, fraternity or society of persons, with or without legal personality, including any comparable company incorporated or registered outside the Republic and a company listed in the First schedule (comprising a list of several companies registered in other EU members states); but it does not include a partnership. The reader may appreciate that the Cyprus arm's-length principle is in line with the international 'arm's length' principle purporting to govern 'controlled transactions' and facilitate potential compensating adjustments amid examination of the tax affairs of the taxpayer. It should be noted that the arm's-length principle governs a wide range of trading or business transactions but generally does not apply to transactions involving 'uncontrolled relations' or of a capital gain nature involving immovable property located in Cyprus. Recently, Cyprus issued11 detailed transfer pricing regulations governing financial back to back (BtB) controlled transactions (the BtB Regulations) (see below). Aside from these regulations, Cyprus has yet to issue detailed transfer pricing guidelines concerning 'controlled transactions', although in practice the principles underlying the OECD's Transfer Pricing Guidelines are commonly cited to support the set 'transfer price' in 'controlled transactions', amid tax examinations; or to potentially initiate a conventional advance ruling application process (although a sophisticated advance pricing arrangement does not exist). Briefly touching on empirical tax audit cases involving conditions underlying 'controlled transactions' that deviate from open market terms, the authorities do not hesitate in effecting upward adjustments to the taxable income of a Cyprus company, in the absence of satisfactory evidence or economic and commercial rationale underpinning the effected controlled transaction. 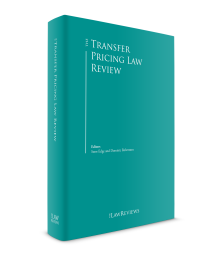 As will be illustrated in this chapter, the OECD's Transfer Pricing Guidelines are generally accepted and widely used in either of the cases mentioned above, with the aim of demonstrating that the selected 'controlled transaction' reflects arm's-length conditions. However, in the process of assessing a 'controlled transaction', the authorities weigh the need for a detailed and comprehensive 'transfer pricing methodology' against the intention not to interfere with the economic development and growth or undue burdening of the taxpayer, and currently tend towards the latter. During the process of a tax audit, it is generally essential for the contemplated 'controlled transaction' to be underpinned by sound commercial and economic reasoning and the defined 'transfer price' to generally fall within a reasonable range of expected prices after considering relevant economic circumstances, functions performed, assets used and risks assumed. The expectation from the business community is that the Commissioner of the Tax Department will soon issue additional transfer pricing guidelines or enact new legislation to extend the application of transfer pricing regulations to a broader range of controlled transactions. The guidance is expected to be aligned with the OECD's Transfer Pricing Guidelines12 (even if in a simplified form). In the interim, the discussion in this chapter is based on the Cyprus arm's-length principle and how transfer pricing applies in practice as well as the BtB Regulations. As an exception to the above are the rules applicable to financial BtB 'controlled transactions', which, as already noted, are explicitly governed by the BtB Regulations. As such, the taxpayer should prepare a transfer pricing study supporting such transactions. Currently, such transfer pricing study should be submitted only if requested by the authorities, amid a future tax audit or if the taxpayer seeks to commence an advance ruling application process. However, the general rule applies, namely that the taxpayer has a general obligation under the law14 to maintain evidence, documentation, books and all necessary information (collectively 'evidentiary documentation') that supports all transactions and financial data in the audited financial statements of the taxpayer. These legislative compliance provisions are broadly worded therefore implicitly also cover also evidentiary documentation underpinning the effected 'transfer pricing' in controlled transactions. Such evidentiary documentation should be maintained for a period of seven years15 (including the current year) at the premises of the taxpayer and be available for any tax audit that may be initiated by the authorities. Currently, Cyprus law does not provide transfer pricing guidance or methodology to be used for determining the transfer price in a selected 'controlled transaction'. However, the OECD Transfer Pricing Guidelines (albeit in a more simplistic form) will generally be accepted by the authorities if used or relied on by taxpayers. Thus, at present, and until transfer pricing regulations are issued, taxpayers should expect that the traditional transaction methods16 would generally apply to transfer pricing cases. Such methodology consists of the comparable uncontrolled price method using comparables or near comparables, the resale price method, and the cost-plus method. Occasionally it may suffice for the controlled transaction to have implicit or explicit underlying economic and business reasoning within the context of the contemplated 'controlled transactions'. In this respect, empirical experience on the treatment by the Tax Office of 'arm's-length' transactions suggests the following approach or methodology depending on the subject matter of the transaction. The use, mainly, of the comparable uncontrolled pricing methodology, as comparables are generally available by reference to their economically relevant characteristics. This pricing methodology may be used in conjunction with the business or commercial sense underpinning a selected financing arrangement. In this respect, in using comparables or nearing comparables, one considers, inter alia, functions performed by the lender such as cash-flow monitoring and assessment of the creditworthiness of the potential borrower, the amount of the principal loan, the maturity of the loan, the currency of the loan and the profile of the borrower. Additionally, the risks assumed by the taxpayer such as credit, currency and cash-flow risk are integral in the process to using a comparable and one would be well advised to demonstrate that the specific financing arrangement has business and commercial rationale. comparability analysis, by which the conditions and circumstances of such BtB arrangement should be consistent with comparable conditions of a BtB transaction occurred in an uncontrolled transaction. Simplification measures also apply where pure intermediary financing vehicles may opt in and avoid performing a comparability analysis. Notwithstanding this, such intermediary financing company should still perform a functionality analysis demonstrating that it undertakes related functions, assets and risks. Companies following the simplification route should have a minimum return on the BtB transaction of 2 per cent (after tax), calculated on the face value of the principal loan. Simplification measures also apply to companies having similar profile or outlook to financial institutions as described in the EU Regulation No. 575/2013. In such a case companies would be required to produce at least 10 per cent (after tax) return on their equity. The predominant use of a cost-plus or similar method17 by which one applies a reasonable (nearing arm's length) gross profit margin or occasionally if these services constitute low value added services, then a thin margin earned on the cost incurred for performing this service may suffice. If the transaction involves finished or semi-finished products and the profile of the 'manufacturer' is that of a limited risk manufacturer, determined by reference to: its functions performed (comprising storing, making minor changes or additions to the end product); undertaking minor business risks relative to the overall creation of value of the group); and minor assets used, the common approach is to apply a reasonable gross profit margin that reflects the average gross profit margin used in the industry or a gross profit margin of nearing comparable. Similarly, if the company is a limited distributor, determined by reference to its limited functions, and risks assumed as well as assets used (not creating or owning any intangible), the common approach is to apply a reasonable gross profit margin. Occasionally, a similar to resale price methodology may apply instead. Regarding services, the cost-plus methodology usually applies. Cost-plus comparables are generally acceptable in these types of transactions, and taxpayers generally use average gross profit margins that apply in the specific service industry or in the broader service industry. The underlying business and commercial rationale is very important for the tax impact (and treatment) that may be ensuing on any potential 'secondary adjustment' (see below), but not regarding the tax treatment of the transaction itself, as it is exempt. In this respect, it is advisable that such transactions be underpinned by commercial and sound business rationale relative to the overall context in which they occurred. It may be advisable that the taxpayer obtains an advance tax ruling: an application that by sets out the specific facts and circumstances underlying the transaction and seeking the opinion of the authorities. In the absence of transfer pricing guidelines, Cyprus companies that hold intangible assets (trademarks, industrial designs) should expect, for the purposes of determining the 'transfer price' on the contemplated income streams, a variety of commonly used valuation techniques such as discounted valuations. Such valuation techniques are especially used for hard to value intangibles for which comparable transactions do not exist. It should be noted that discounted valuation techniques should be based on reasonable forecasts and assumptions. Notwithstanding this, it is advisable to also test whether available comparables or nearing comparables exist, which would allow taxpayers to use the aforementioned traditional transaction methods. Thus, a taxpayer should be in a position to demonstrate that the anticipated 'compensation' on allowing for the use of the intangible reflects the functions the taxpayer performs (by reference to their respective protection and exploitation) and related operating expenses (such as promotional expenses to enhance the value of the intangible) as well as risks assumed (exploitation risk in terms of the uncertainty in the production of income streams). In this respect, taxpayers are expected to set out the income stream prospects along with functions performed and related costs to demonstrate that the overall 'pricing' is justified economically and commercially. The authorities tend to accept the 'pricing' on the controlled transaction if the taxpayer demonstrates the reasonableness of the pricing. In the absence of transfer pricing guidelines, it also follows that there are no DEMPE20 specific principles and the general principles apply. It is expected that transfer pricing regulations will be issued by the authorities, which will potentially mark a change in the current approach of both the authorities and potentially the taxpayers in controlled transactions. In fact, the authorities have issued a recent circular21 stating that for the determination of 'embedded income'22 arising from 'qualifying' intellectual property, the OECD Transfer Pricing Guidelines should be followed. In view of the current absence of regulations or legislative provisions explicitly mandating transfer pricing guidance or methodology, any settlements reached in response to a controlled transaction would be effected amid the broader context of the settlements with the authorities in the context of the examination of the financial (tax) returns of the taxpayer. In this respect, the settlement would involve an agreement, inter alia, on the historic treatment of the taxpayer's affairs (including any transfer pricing issues that may arise). Thus, any settlement reached on a transfer pricing issue would generally be of an ex post nature (applying on historic transactions) and not ex ante. In practice, however, such historic settlements may constitute a precedent and be followed for subsequent years, assuming no substantial change in the applicable facts and circumstances (nothing prevents, however, the authorities from revisiting and not adhering to the position taken in prior years), unless a tax ruling can be obtained on the issue (see below). Currently, no advance pricing arrangement (APA) mechanism exists and the conventional advance tax ruling process is not designed to cover detailed transfer pricing cases. However, it is anticipated that transfer pricing cases will be covered either by the introduction of an APA mechanism or by broadening the scope of the conventional advance tax ruling process. If so, it would be advisable to seek such a ruling or APA to secure certainty of tax treatment. As it stands, the authorities23 will abide by their rulings if the circumstances and parameters on which the conventional ruling is based remain substantially the same. It is expected that the authorities will soon extend the scope of the conventional tax ruling process to include transfer pricing studies for financial BtB transactions. Likewise, the law provides the right to the taxpayer to object a disputed assessment. If so, such objection should be filed by end of the next month and specifying the reason underpinning the objection letter.26 Following submission of an objection the authorities and the taxpayer usually exchange views (at meetings or by correspondence), which invariably involves the taxpayer providing additional documentation to support their case. In the absence of detailed or specific provisions governing transfer pricing investigations, the general provisions of the law apply also to disputes on a set 'transfer price' by which the authorities on issuing assessment potentially challenge the underlying terms of a 'controlled transaction'; the taxpayer should be able to demonstrate to the satisfaction of the authorities that the controlled transaction reflects the fair market terms. In this respect, and as already mentioned above, the taxpayer should have satisfactory evidentiary documentation in place underpinning the method of determination of the price, the economic and commercial rationale underlying the controlled transactions, and furnish these to the authorities. The authorities generally review the documentary evidence produced by which the taxpayers detail the determined 'transfer price', and they will accept it if it is reasonable and justifiable in light of the specific economic circumstances or aligned to the OECD reports and guidelines. The authorities generally accept nearing comparables illustrating that the determined transfer price is within a reasonable range. It should also be noted that the authorities, on examining the evidentiary documentation, will either cancel their original assessments and issued revised or final ones or a final assessment would be issued without the agreement of the taxpayer, in which case the taxpayer may seek recourse to the tax tribunal or to the court (see below). Finally, as of July 2017, the taxpayer should have a transfer pricing study in place supporting financial BtB transactions, and similarly, the taxpayer should have a functionality analysis if it opts for the simplification measures. In the event that a taxpayer wishes to challenge the findings, position or tax assessment of the authorities on a specific matter, he or she may apply to the Tax Tribunal27 or Court,28 or both. In this respect, the taxpayer, on receiving the final notice of assessments as issued by the Commissioner without reaching an agreement, should file his or her application to the tax tribunal within 45 days from the date of notification of the disagreement with the authorities (from the issue of the final notice of assessment). The Tax Tribunal will examine the application of the claimant and request a report from the authorities documenting the facts of the case and their position. At a later stage, the Tax Tribunal will set a hearing with the two sides and decide on the case. The burden of proof falls on the taxpayer. If either of the parties disagrees with the decision of the Tax Tribunal, they may seek recourse to the Supreme Court. In such case, the taxpayer should pursue this action within 75 days from either final notification of the assessment or the issue of the Tax Tribunal's decision. The burden of the proof should lie with the taxpayer. 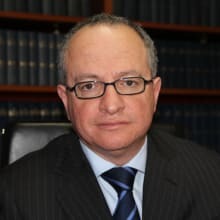 Recourse is brought under Article 146 of the Cyprus Constitution, whereby the assessment of the Supreme Court will involve the validity of the decision of the Commissioner, but if this is reasonable, the Court will not quash the decision of the Commissioner. Transfer pricing matters should also be governed under the above rules; therefore, if the taxpayer and the authorities cannot reach an agreement on a 'controlled transaction', the taxpayer may find recourse to either the Tax Tribunal or the Court, or both. Currently, the Cyprus arm's-length principle does not explicitly provide for secondary adjustments, although in the absence of a wording to forbid these, the authorities may apply such adjustments. Such 'secondary' adjustments may take the form of deemed dividend distribution (if it involves Cyprus tax-resident and domiciled physical persons); deeming receivable equal to the difference between the actual transfer price and the fair market price on which market interest rate will be imputed; or deemed operating income. Secondary adjustments may be invoked in response to primary transactions involving tax-exempt assets and could take either of the forms denoted above. If so, a primary controlled transaction that should not have any Cyprus direct tax implications may be ultimately subject to taxation, especially if it lacks commercial or business rationale. The arm's-length principle does not apply to transactions where no 'controlled' relation exists between the parties or selected transactions that constitute capital transactions. Cyprus has a very broad tax treaty network and generally applies the mutual agreement procedure (MAP) in response to its obligations under its bilateral double tax treaties (which are mainly based on the OECD Model Convention – therefore giving effect to the specific OECD MAP Article 25, if existing) or the Arbitration Convention32 (90/436/EEC) pursuing the elimination of double taxation. Prima facie, such procedure may also be invoked in the context of primary adjustments under transfer pricing for the corresponding adjustment to apply and therefore eliminate or mitigate possibility of double taxation. Currently, there is limited practical experience for invoking an MAP for transfer pricing. In addition, the law33 provides that if the authorities, during their tax audit, effect an upward adjustment in the tax computation of a taxpayer, a corresponding downward adjustment should also apply in the books of a connected controlled party. The resulting corresponding adjustment may be allowed as a deduction for the purposes of determining the connected controlled party's tax computation if under the normal rules, the subject matter of the corresponding adjustment would have qualified for deduction. In effecting such corresponding downward adjustment, the law provides a framework for mitigating cases of double taxation, at least within Cyprus. Notably, the arm's-length principle of the law is in line with the international principle of 'arm's length' as envisaged in the relevant OECD Model Convention and Guidelines and purports to govern 'controlled transactions', and indeed the authorities in practice accept transfer pricing studies indicating that the set 'transfer price' is not affected by the connection between the parties in a controlled transaction. However, in the absence of a formal requirement on detailed transfer pricing documentation (except for BtB financial controlled transactions) and specific guidance on the governing methodology, the authorities' approach is pragmatic, reflecting a balancing exercise of fostering international business, while at the same time not allowing unreasonable controlled transactions deprived of business or commercial rationale to take place. As a result, the process is relatively less cumbersome from the perspective of the taxpayer with regard to preparing and furnishing adequate evidentiary documentation underpinning a set 'controlled price' and from the perspective of the authorities with regard to using their limited resources to rigorously examine a selected 'controlled price', especially if the transaction is relatively within the context of a small or medium-sized business. 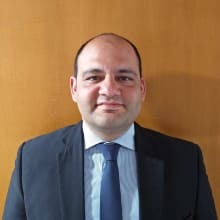 It is expected that the anticipated issuance of Cyprus regulations stipulating the nature of transfer pricing documentation and methodology to be followed will mark a shift in the current approach of the authorities, which require per se specific documentation to be in place and certain methodology to apply with regard to 'controlled transactions'. 1 Kyriacos Scordis is the managing partner and Costas Michail is a tax specialist and senior manager at Scordis, Papapetrou & Co LLC. 2 Cyprus was largely compliant in the Phase 2 progress report of the Global Forum on Transparency. 3 OECD Model Tax Convention, Article 9. 4 Transfer Pricing Guidelines for Multinational Enterprises and Tax Administrations (1995–2016). 5 Base Erosion Profit Shifting (adoption of 15 points action plan by G20, OECD), Approval of Action 8–10 – 2015 report aligning Transfer Pricing Outcomes with Value Creation. 6 OECD Model Tax Convention, Article 9. 7 See footnotes 3 and 4. 8 Article 33, Income Tax Law of 2002, 188(I)/2002, as amended, CTR Publications Ltd.
9 Article 2, The Income Tax law of 2002, 118(I)/2002, as amended, CTR Publications Ltd.
10 Article 9B, Income Tax Law of 2002, 118(I)/2002, as amended, CTR Publications Ltd.
11 Circular issued by the Authorities, EE 3. 12 OECD Transfer Pricing Guidelines for Multinational Enterprises and Tax Administrations (July 2017 ed.). 13 Decree on Country-by-Country Reporting, 401/2016. 14 Article 30, Assessment and Collection of Taxes Law of 1978, 4/78, as amended. 15 Article 30(3), Assessment and Collection Law. 16 OECD Transfer Pricing Guidelines 2016, Part II: Traditional transaction methods. 17 OECD Transfer Pricing Guidelines 2016, Part II: Traditional transaction methods. 18 Article 3, Special Contribution for the Defence of the Republic Law of 2002, 117(I)/02, as amended (easily met participation exemption) and Article 8(20), Income Tax Law of 2002, 118(I)/2002, as amended. 19 Article 8(22), Income Tax Law of 2002, 118(I)/2002, as amended. 20 Development, enhancement, maintenance, protection and exploitation of intangibles. 21 Circular issued by the Authorities, 2017/4. 22 Article 9(1)(e), Income Tax Law of 2002, 118(I)/2002, as amended. 24 Article 13(1), Assessment and Collection of Taxes Law of 1978, 4/78, as amended. 25 Article 19, Assessment and Collection of Taxes Law of 1978, 4/78, as amended. 26 Article 20(3), Assessment and Collection of Taxes Law of 1978, 4/78, as amended. 27 Article 20A, Assessment and Collection of Taxes Law of 1978, 4/78, as amended. 28 Article 21, Assessment and Collection of Taxes Law of 1978, 4/78, as amended. 29 Costas M Pikis v. The Republic (1965) 3 C.L.R. 131, at 149. 30 Article 33, Assessment and Collection of Taxes Law of 1978, 4/78, as amended, CTR Publications Ltd.
31 Article 9(4), Capital Gains Tax Law, CTR Publications Ltd.
33 Article 33(5), Article 9(1)(e), Income Tax Law of 2002, 118(I)/2002, as amended.